Navigating a Changing Economy: A New Normal for Museums? 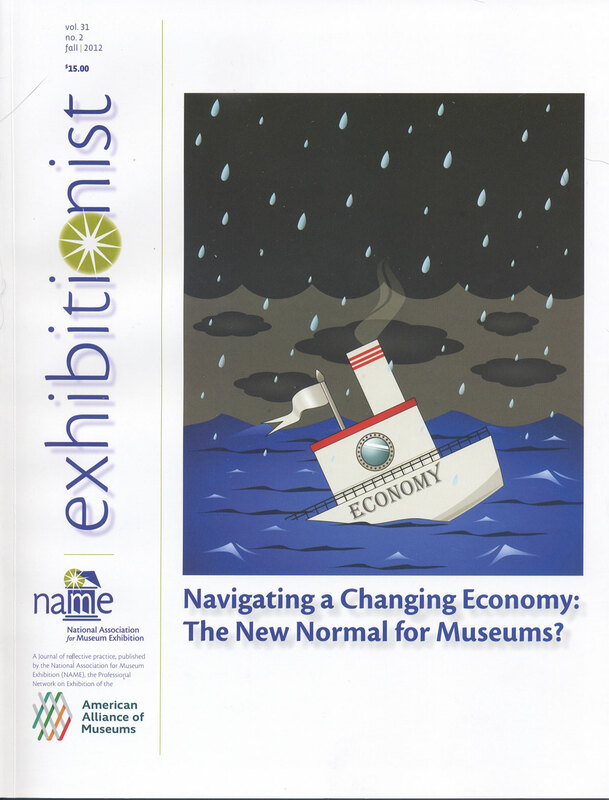 The Exhibitionist, the journal of the National Association for Museum Exhibition (NAME), has devoted its fall 2012 issue to the longterm impact of the economic downturn on the museums. Daniel Spock, director of the Minnesota History Center, and Marilyn Hoyt, a fundraising consultant, discuss the trends affecting exhibitions but whose lessons can apply to other museum departments. Spock believes that museums may be, “moving into a period of permanent instability–a special challenge for museums which have traditionally been in the continuity business.” Hoyt sees that museums are compensating by relying more on in-house resources and phasing projects, often with good side effects, including more prototyping of ideas and a fresh look at familiar collections. an updated and expanded version of my sobering blog post on embezzlement (such a cheery subject; I suspect I’ll be avoided at the next few museum conferences). There’s even more, including reviews of books and exhibits, to fill over one hundred pages. I had never read an issue of the Exhibitionist because I didn’t design exhibits nor was part of NAME, but having one in my hand, I found several articles that spilled into my areas of interest. And now, Exhibitionist is available to anyone by subscription – you no longer have to belong to NAME and AAM to subscribe. For people out of the country or more aligned with ASTC or some other museum group, this means they can subscribe to Exhibitionist without paying membership fees. The rates are $25 if you do belong to AAM and $35 if a non member. For more details, visit www.aam-us.org/resources/publications/exhibitionist. This entry was posted in Collections, Fundraising, Governance and management, Historical interpretation and tagged Daniel Spock, Exhibitionist, Historic St. Mary's City, Marilyn Hoyt, Minnesota History Center, National Association for Museum Exhibition on January 15, 2013 by Max van Balgooy.